I first heard about Up & Up Restaurant from this girl I met during the audition round of a beauty pageant two years ago. We were waiting for our turns to enter the judging room and she struck a conversation with me after learning about what I do as a profession. 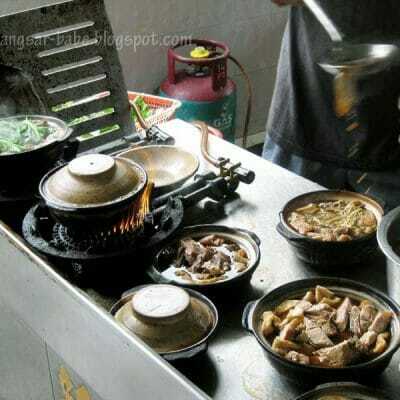 The restaurant belongs to her parents and they have been running this food business for more than 30 years. At that time, fish head curry didn’t sound very important – making it to the final round of that beauty pageant was. But over that span of two years, I learnt that tucking into hearty meals of fish head curry and rice was way more satisfying than starving myself just to fit into a tiny bikini. 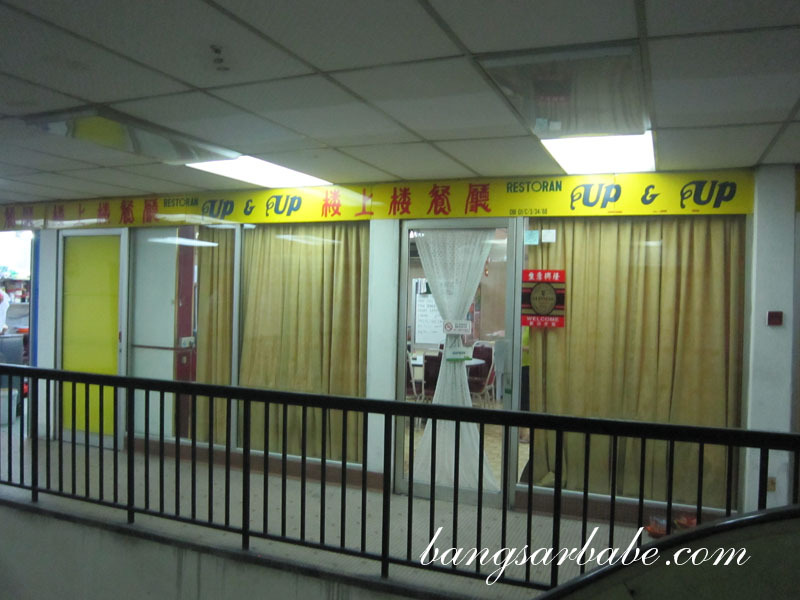 Finding Up & Up Restaurant wasn’t easy, especially when you’re not from Ipoh. I didn’t even notice Wisma Kinta along Jalan Yang Kalsom when rif and I drove by twice. The name Up & Up was apt – we had to walk up three flights of stairs to get to the restaurant. You can take the elevator, which sometimes works and sometimes doesn’t. Outside the restaurant, I was greeted by a delicious aroma of assam curry confirming that I was at the right place. I ordered the Fish Head Curry (RM55 for a whole fish head), Sambal Prawns with Petai (RM18) and Foo Yong Egg (RM6) to share with rif. 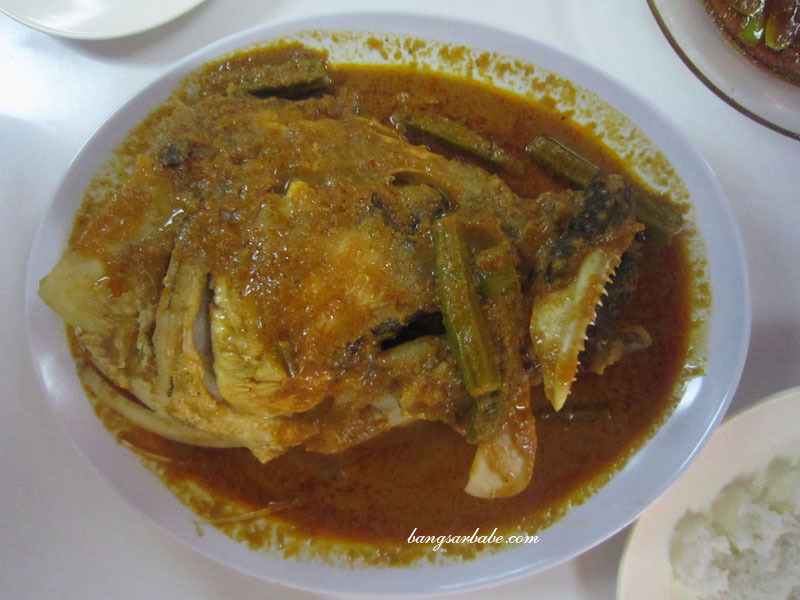 The fish head came with plenty of tomatoes and okra in tangy assam-curry gravy that begged to be poured over white rice. I liked that the gravy was sour and spicy with a touch of coconut milk. Alas, only the gravy made an impression as the fish was undercooked — we sent it back to the kitchen to be re-cooked. 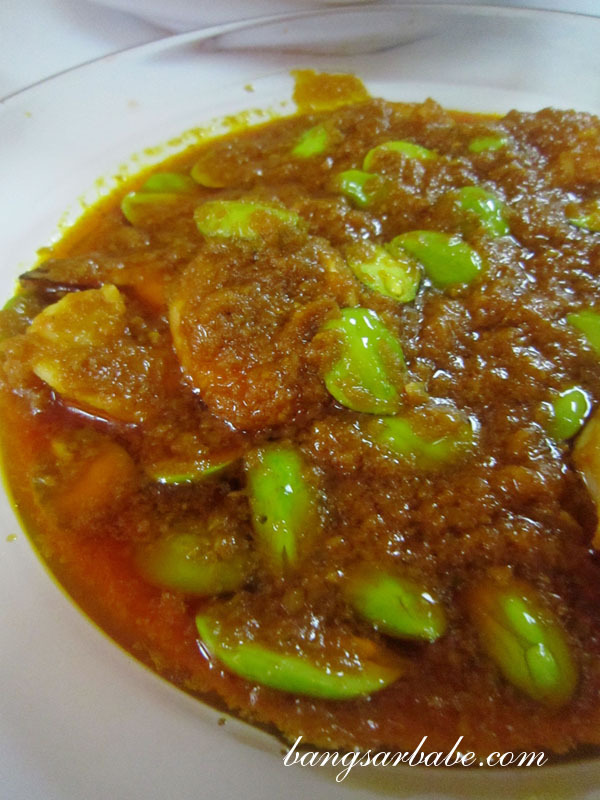 What knocked our socks off was the Sambal Petai for it was the best we’ve ever eaten so far. This dish was the perfect balance of sweet, sour, spicy and salty, with a pungent aroma from the petai and belacan. The sauce was rightly thick while the prawns were large and succulent. You can do away with the petai, but I feel you’ll be missing out. Big time. 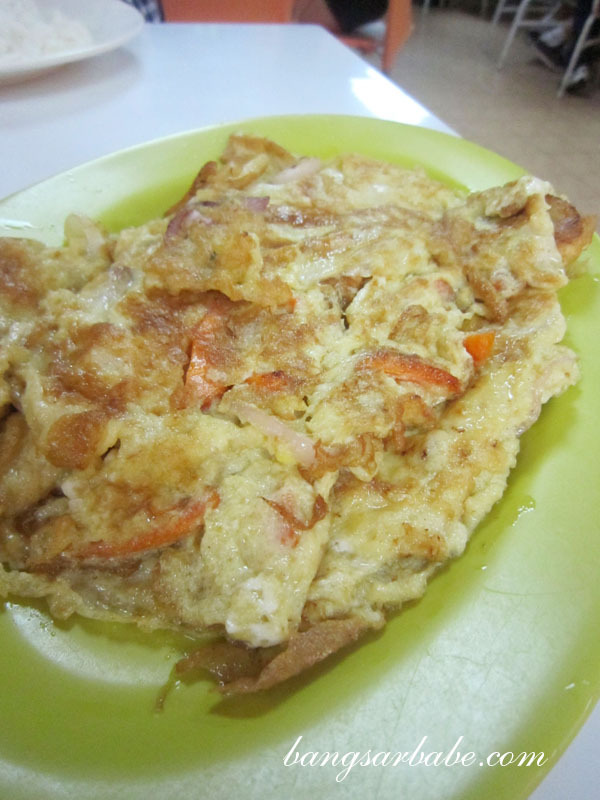 The Foo Yong Egg comprised onions, carrots and bits of minced pork. It was a tad oily and frankly, nothing to shout about. 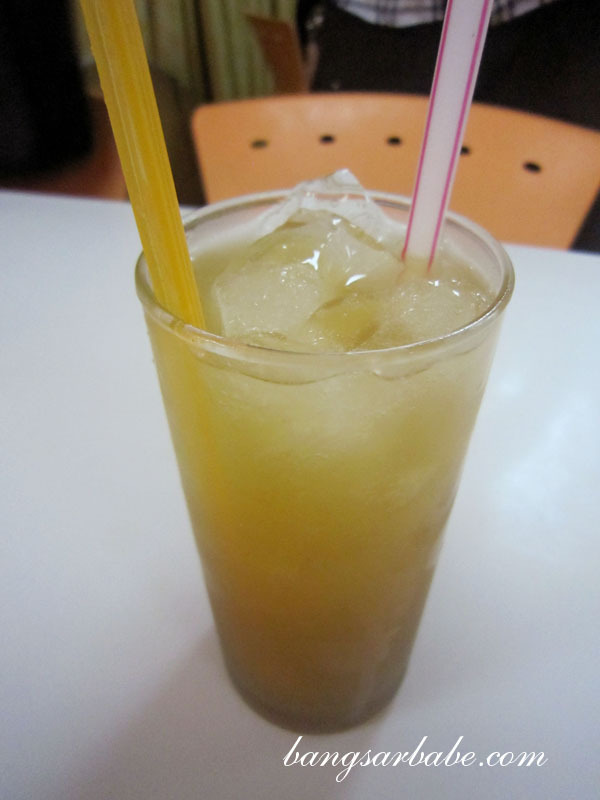 My honey lime drink was most refreshing, especially after such a curry and carbo-laden meal. I was tempted to order the pork trotters but three dishes were already a bit much for us both. Next round, definitely! Lunch came up to slightly over RM80, which I found slightly expensive by Ipoh standards. Verdict: The sambal petai is a must try and the fish head curry is delicious with rice. *Also read my column on Up & Up Restaurant in The Star! Will definitely try the mutton curry next round! u did order for more than 2, so rm80 isnt too bad! however that said, 50+ for a fish head, was there alot of meat? I don’t like petai …..